Girl is NOT a 4 Letter Word: Another Rad Book On Women's Skateboarding Is Here! Another Rad Book On Women's Skateboarding Is Here! We are stoked to say that we have published yet another book that showcases women in skateboarding! 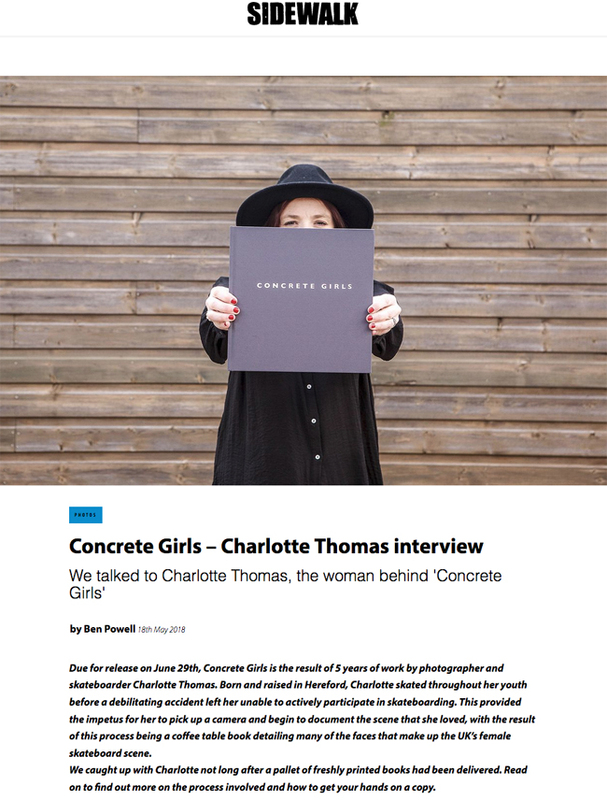 This time it's CONCRETE GIRLS by UK based photographer Charlotte Thomas who has been chronicling the girls skate scene in the UK for the past five years. We will have an interview with Charlotte soon, but in the meantime, check out her recent interview on SIDEWALK MAGAZINE to learn more about this amazing book, the launch party info, and how you can get your hands on a copy!